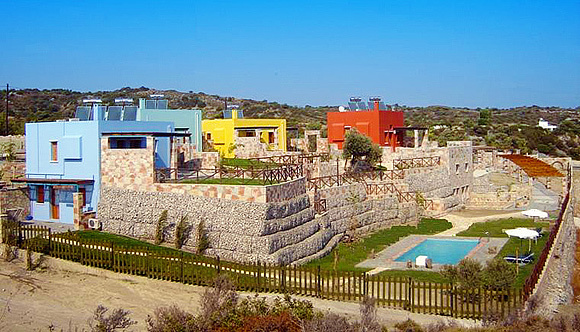 Petroto villas with pool, is a newly built (2008) complex of 4 genuinely designed vacation villas. 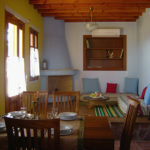 Located in a perfect spot on a hill above the beautiful beach of Kiotari, offering with a stunning view to the Aegean Sea, surrounded by olive trees and vineyards. 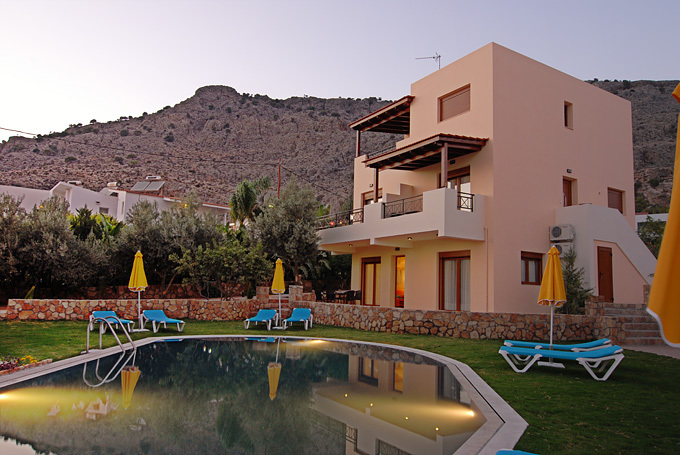 Kiotari is a beautiful resort on the south east coast of Rhodes, at only 17 km from Lindos and at 30 km from Prassonissi, the famous surfer’s paradise. The sand and pebble beach is at only 350 m. away from the villas and it’s easily accessible by foot. 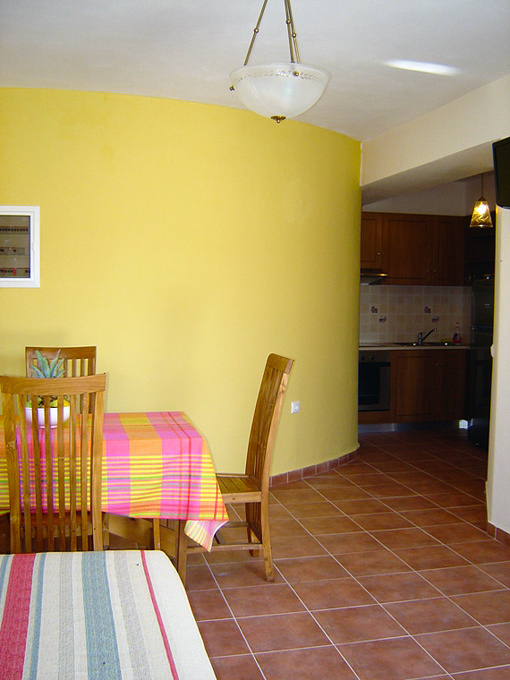 A few restaurants and mini markets are at a short walking distance from the villas. There is a number of historical sites and monasteries around and a number of walking paths into an unspoiled nature filled with smells of wild flowers and herds. 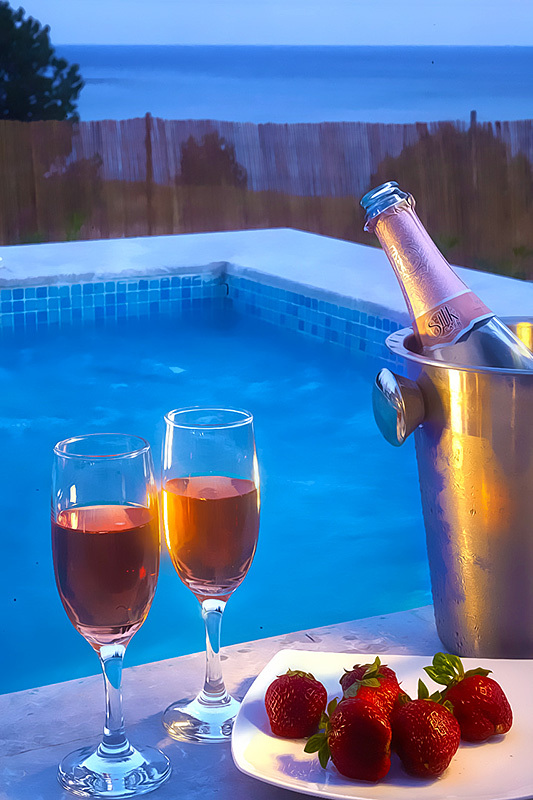 The Petroto villas are built with high standard materials offering all the modern amenities for a relaxing, unforgettable vacation under the hot Greek sun surrounded by the magical Aegean Sea. 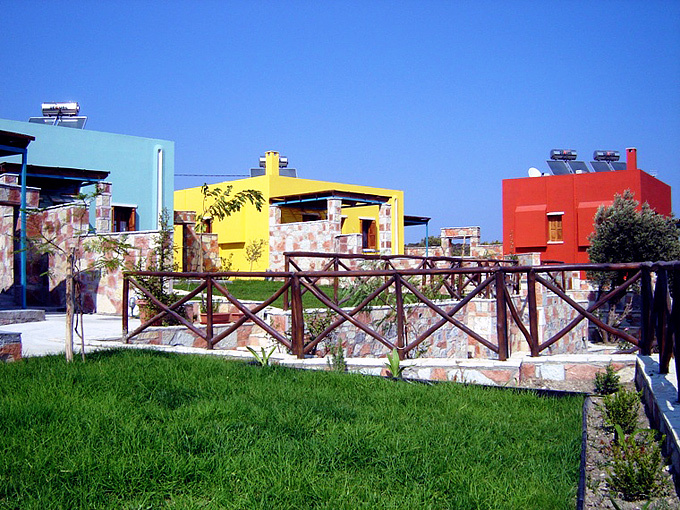 There are three types of accommodation offered: villas with two bedrooms, small villas with one bedroom and second bedroom on a village-style loft and bungalow apartments. 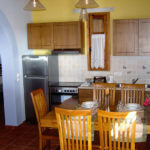 Facilities include individually-controlled air conditioning, stove and oven, refrigerator and freezer, satellite TV & radio, washing machines. 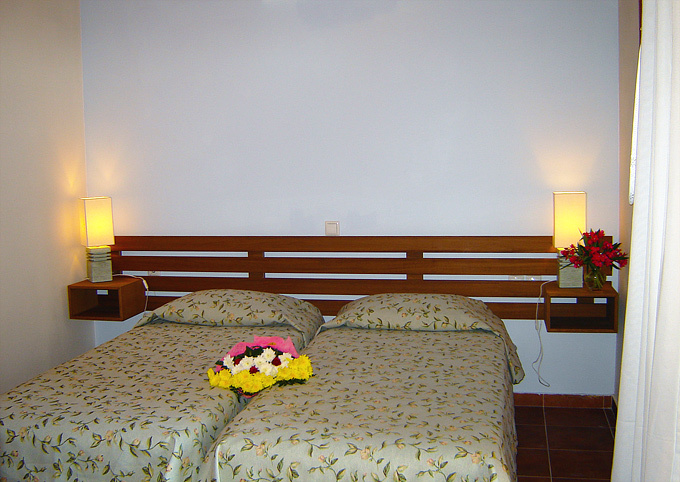 The larger villas can accommodate up to 5 persons and consist from two bedrooms (one with a double bed and the other with two single beds), a spacious kitchen with all necessary utensils and equipment and a dining room with sea view. 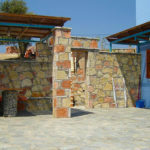 Furthermore there is a living room in a typical Rhodian style with a fireplace. 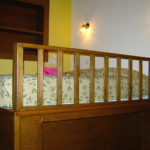 From its window, there is a garden view and sea view. Also there is a large bathroom with WC, bathtub, mirror and blow dryer. 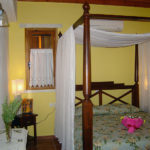 The smaller villas can accommodate up to 4 persons and consist of a bedroom with a Rhodian traditional-style sleeping area with a double mattress and another bedroom with a semi-double mattress is located on the wooden loft. 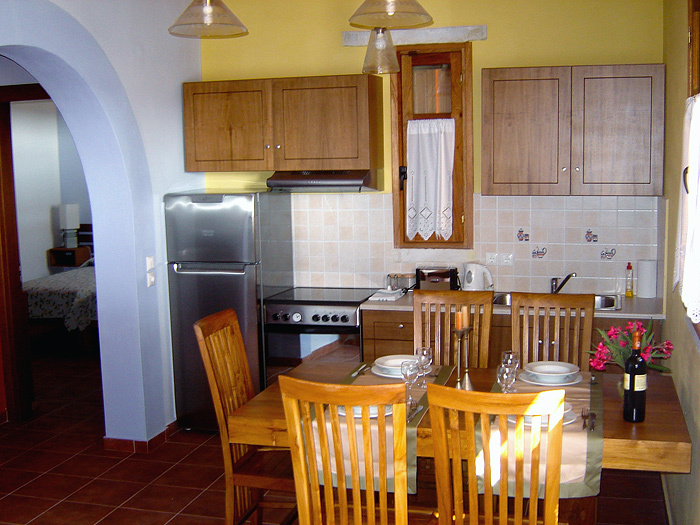 A spacious kitchen with all necessary utensils and equipment and a dining room with sea view are part of the villas services. 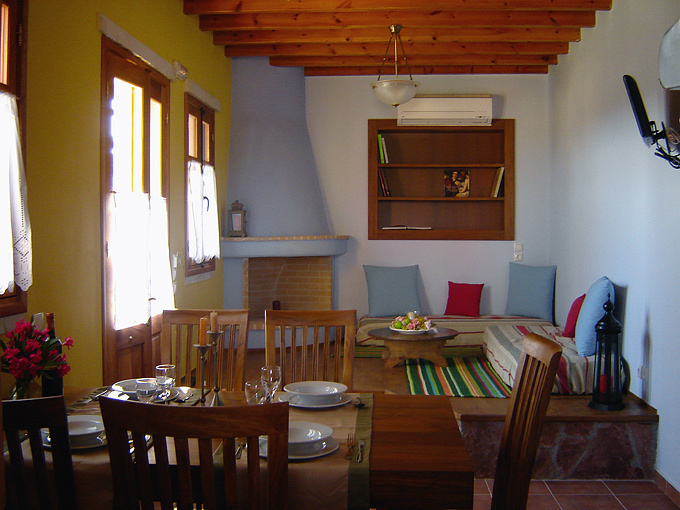 The living room is in a typical Rhodian style with a fireplace and a window with a garden view and sea view. The large bathroom is equipped with WC, bathtub, mirror and blow dryer. 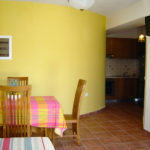 The apartment which is suitable for 2 or 3 people consists of a bedroom with a double bed and window (with garden view and side sea view), a living room that may also be used as a sleeping area for one person, more windows with garden view, a table with chairs and a separate kitchen with a stove, oven, refrigerator, freezer, satellite TV, air conditioning, a spacious bathroom and blow dryer. 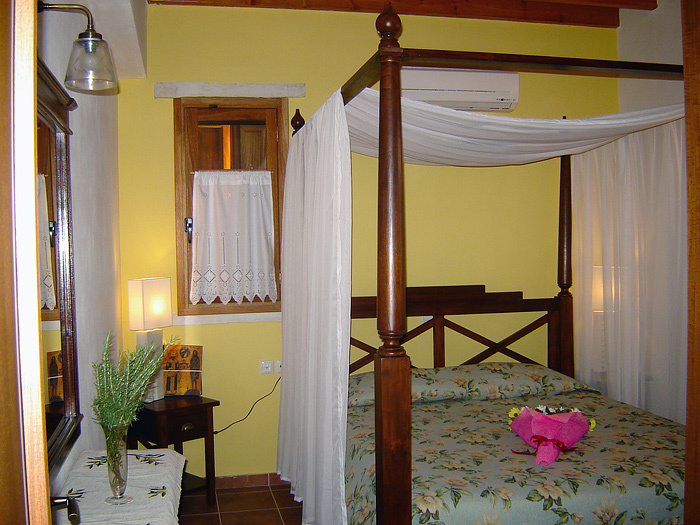 There is a porch with garden view where you may also enjoy the side sea view, the way to the swimming pool. Each villa has its own porch with a pergola where our guests can simply relax and enjoy the sea view and / or our garden with its trees. 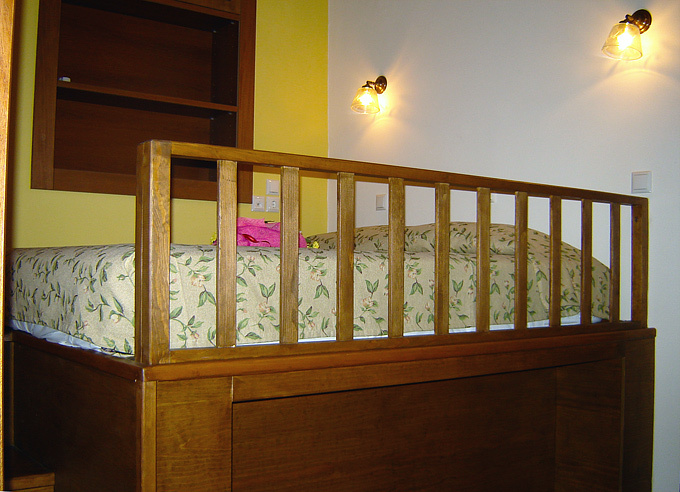 Our guests may also spend their time taking care of the garden and benefiting of its products. 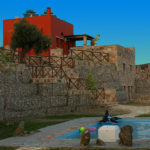 The swimming pool, free for all of the Petroto villas guests, is located on a different level of the plot, providing a physical separation from the villas porches. 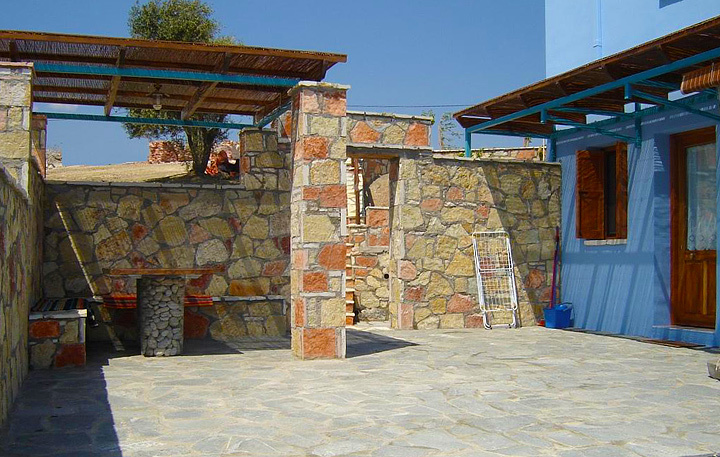 On our premises there are also a traditional oven and a barbecue as well as a private parking area. 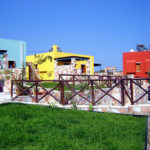 During your stay at Petroto villas in Rhodes you may enjoy further activities such as walking, riding a bicycle, water sports and a small walk in the forest. 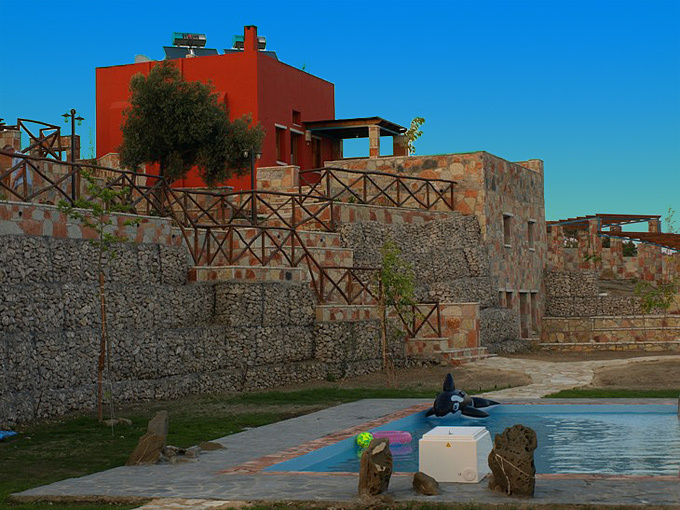 Whether you are interested in a relaxing holiday or an exciting getaway from everyday routine, Petroto sea view Traditional villas ensures remarkable services and facilities for its guests.